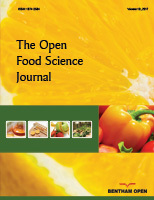 Total polyphenols content and a partial phenolics composition from pulp and peel of organically and conventionally produced Malus domestica, Annurca were investigated. Furthermore, the antimicrobial effect of these compounds against useful and pathogen microorganism was examined. Finally, their mutagenic activities were evaluated. Organically grown apples showed a greater content of polyphenols, both into the pulp and the peel. The distribution of polyphenols was different between the two types of fruit, the organic fruit showing a more concentration of them, mainly into the peel extracts. The antimicrobial activity was also different: the conventionally produced samples showed a good inhibitory effect against Bacillus cereus, the organic peel revealed in addition a good inhibitory effect against Escherichia coli 0157:07. The results demonstrated a probable relationship between the phenolic composition and distribution in the extracts and the antimicrobial effect. The Ames test did not reveal the presence of an evident mutagenic activity in the conventional extracts. The antimutagenic activity was more evident in the organic extracts.